Princess Tori and Popstar Keira. Singing in front of many people, together forever!. 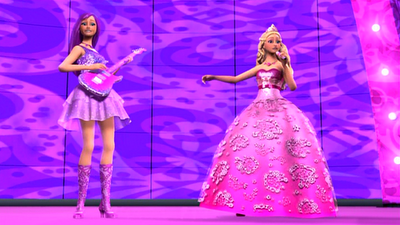 Wallpaper and background images in the Barbie the Princess and the popstar club tagged: barbie p&p keira tori. Singing in front of many people, together forever! This Barbie the Princess and the popstar photo might contain concert, dinner dress, dinner gown, formal, and evening gown.